If you’re looking for high quality and personal service, you’ve come to the right place. At Ideas Tile we’ll give you the attention and personal service you’ll come to expect and enjoy. We offer the best in (list products or services). Ideas Tile has been in business since 2007 . Let us put our experience to work for you. Kitchens and bathrooms are the most renovated rooms in any Waterbury home. Storage is a top concern in these rooms, so hiring Waterbury, CT professionals to create and install custom cabinets in your home can be key to expanding your spaces and controlling clutter. 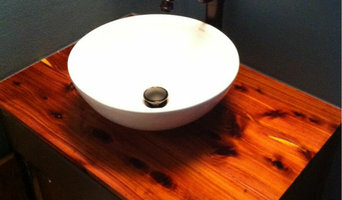 Use the Houzz Professionals listings to find Waterbury, CT kitchen and bath accessory vendors. Don’t rule out asking a kitchen manufacturer’s design team for help, too. Skills often can be overlapped to save you time and money! Here are some related professionals and vendors to complement the work of kitchen & bath fixtures: Kitchen & Bath Designers, Kitchen & Bath Remodelers, Interior Designers & Decorators, Cabinets & Cabinetry. Find kitchen and bath fixtures and accessories, plus installation experts, on Houzz. Check out Connecticut kitchen products and installers, and bath plumbing products and installers, on Houzz. 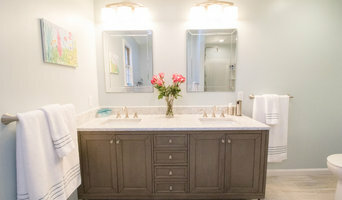 You can also look through project photos provided by Waterbury, CT renovators, retailers and designers.